So I’ve read two books this week. 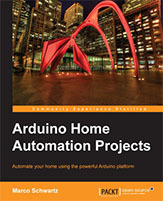 I admit that Arduino is a cool thing for those who are just getting into the embedded world, but I’m not a very big fan of it. I like to do stuff on a low level way, interacting with the CPU registers and writing everything in plain C, but that of course is just my problem :) Anyway, the book is cool, clearly understandable even for a beginner, has lots of images and drawings. Every chapter deals with a different kind of home automation problem and solves it by using some kind of wireless transmission. It even covers designing a custom PCB using Eagle. I started music editing with FastTracker 2 back in the 90s, and continued with Fruity Loops later. I’ve tried Cubase for a short time and settled with Ableton Live, which suits my needs perfectly. I think FL is too much based on loops, Live supports them as well but I can make music more comfortably by using only the playlist (as they call it in FL). I enjoyed this book very much. A very good introduction for a beginner who wants to know how to create music with FL Studio. Everything is clearly understandable and well explained. The book is full of good images. The chapters are well structured, and in good order. 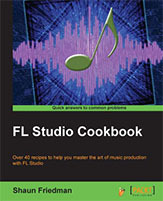 I would definitely recommend this one if you want to know more about FL Studio!